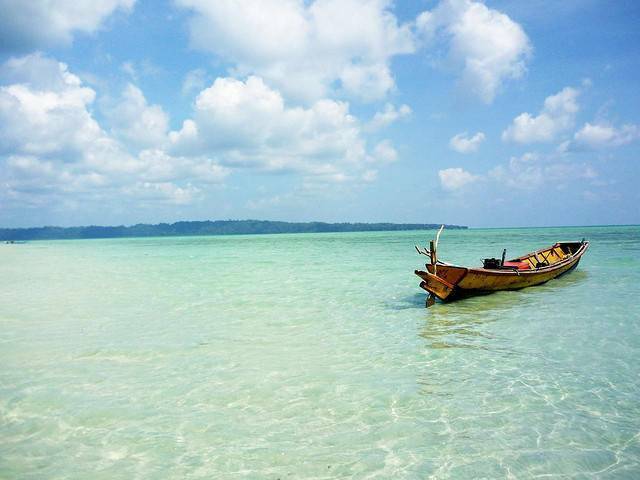 The beautiful Andaman and Nicobar Islands are known for their picturesque scenery and clear, blue waters. They are a cluster of about 600 islands in the Bay of Bengal and even though they are a part of India, they’re closer to Myanmar and Thailand than with mainland India. Have you ever tried to imagine a seaside paradise? Well, this is it. With coral reefs, glistening sapphire waters, the sparkling sand shores, emerald green mangrove forests and the blues possible skies. God must be an artist. This place is a fantastic fusion of history and natural beauty. In recent years, there has been a surge in popularity of these islands, and these once remote spots have come to the forefront. The clear waters with the clearest possible picture of underwater flora and fauna are more than enough to make you mad with joy and wonder. Sprawling over 8000 square kilometers approximately, Andaman has "Port Blair" as capital city and Nicobar has "Car Nicobar" as its capital. In places to visit, we shall begin with the Long Island. The dazzling Lalaji Beach along with the dolphins’ convoy is bound to make a home in your heart for long. From the darker pages of Indian history, come out the cellular jail. It stands as a witness to everything men crazy for their nation and her freedom went through in colonial India. The Mahatma Gandhi Marine National Park at Wandoor covers creeks and open sea besides 15 islands. This is where your love for adventure can be allowed to go untethered with options for scuba diving and snorkeling. The Anthropological Museum testifies the presence of several ethnic groups in the vicinity. Popular tourist attractions include Havelock Islands, Rutlang Island, Neil Island, Wandoor, Baratang Island, Barren Island, Long Island and Little Andamans. Visiting Nicobar Island is off-limits for the most part, but Andamans is a paradise for thrills-seekers and lovers of sea, sun and sand. At Nicobar, you might want to see the country’s erstwhile southern- most point. With its sky-scraping lighthouse it is a lovely place to visit. Car Nicobar, a seat of the Indian Air-force, it made up of an archipelago of islands. This place is breath-taking in its beauty. There’s the Katchal Islands as well that remains evergreen in allure throughout the year. Lastly, the Great Nicobar Island is a fabulous place to spend some lazy time in the diversity of indigenous flora and fauna is very striking. The Andaman and Nicobar is a place where you come to for a long vacation. You can never have enough of these islands or the waters around. Photographers, get set go! A Restricted Area Permit is required for foreigners. It is issued for 15-30 days at Port Blair Airport or Ferry Terminal. Getting into the backwaters of Andamans is really fun, but at some waters here itching might exist which can be prevented by rubbing cut onion there. Avoid trips to far off roads like Baratang adventure excursion during monsoon season as you might not have that great experience as expected. Reach a day before from far off islands to Port Blair,if you have a flight next day back home to ensure you do not miss it due to closure etc. Indian citizens do not require a passport to travel to Andaman, however NRI and foreigners do require passport with advance 15 day permit called RAP.